But for a small ray of sunshine (literally), this popular adage unfortunately applies resolutely to the 2016 harvest in Champagne. Just about everything that could go wrong, did. 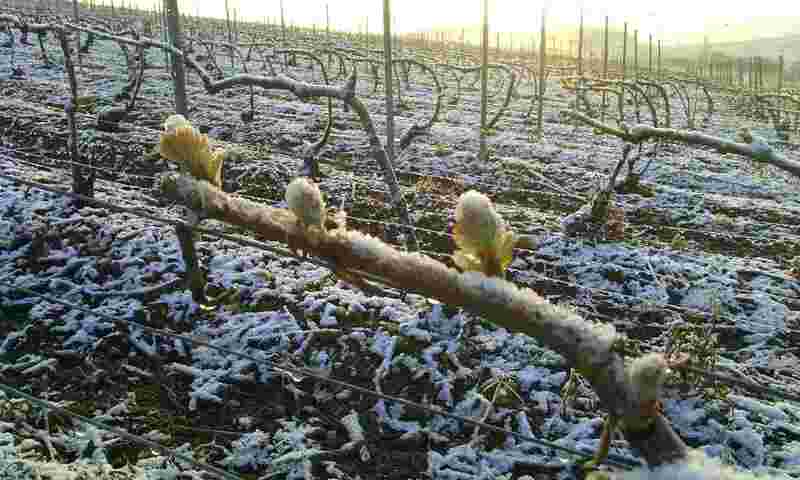 If you’re a vineyard owner, things like rot, mildew, hail, frost and torrential rain are the worries that keep you awake at night – and all of these struck in force in 2016. 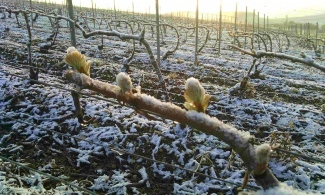 Villages in the Côte des Bars were hit the worst, with severe spring frosts in April destroying two thirds of the potential harvest for that region. Later, hail struck Aube; the department where the Côte des Bar is located. This not only destroyed the grapes, but also increased the cases of grey rot since many bunches were left with broken grapes on them. Rainfall in May and June was then excessively heavy with record low sunshine hours creating the ideal climatic conditions for mildew, resulting in more losses. 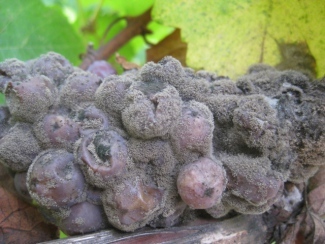 (Agronomic agency, Magister, later confirmed that 99% of vineyards monitored displayed symptoms of mildew). By this point, the difficult season had already delayed the average cycle by about 10 days – peak flowering was not recorded until June 21st. Hopes then sank further when hailstorms in mid-July compounded the damage. And finally, just as winemakers must have thought the worst was over, the beginning of August brought continuing humidity, adding further grey rot to the mildew pressure. This prompted many growers into leaf plucking to slow down the disease, but the weather had one final offensive – a heatwave in late August saw temperates above 30°C cause now exposed grapes to shrivel and burn on the vines. such an extent that the Pinot Noirs ripened before the Chardonnays which is extremely rare. When CIVC set the appellation yield limit at 10,800 kilograms/hectare at the end of July, the average yield was estimated at 7200 kg/ha. 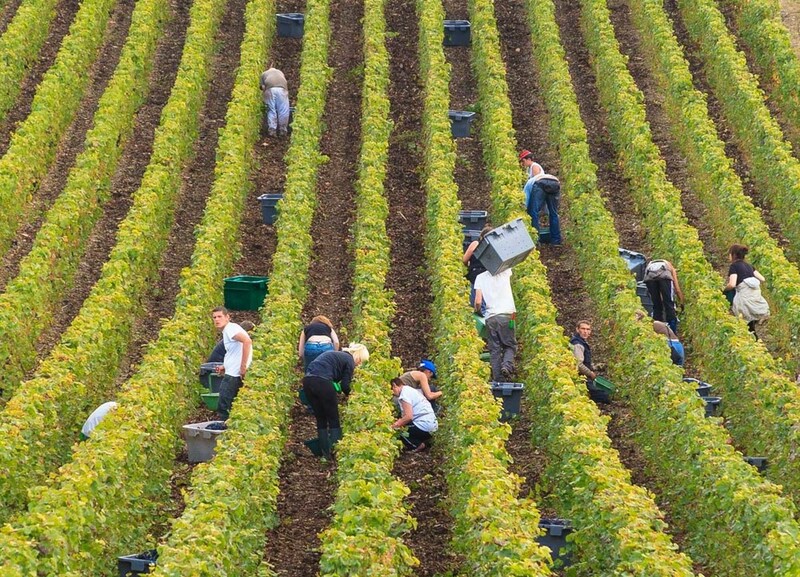 A climatic exception, the 2016 harvest was declared by many to be the most difficult growing season in Champagne since the 1950s. However, all was not entirely lost. A late burst of fine weather in September could produce the perfect harvest weather, potentially offsetting the damage caused during the growing season. And despite the climatic horrors that 2016 had so far bought, a perfect harvest was indeed in store. Temperatures dropped to single digits at night while rising above 20°C in the day, with a few light rain showers mid-September. Many producers even delayed picking for a few days to allow the surprisingly perfect weather to take effect on the grapes. Whilst the quality may not be affected, will there be wider secondary affects on the region as a consequence of the low yield? Well, there is unlikely to be a Champagne shortage so we can all relax. Producers have large amounts of reserve wines stored to compensate for smaller vintages and it’s likely we will see CIVC set higher maximum yield limits in 2017 and maybe even 2018. Pricing will not change; there would have to be three or more consecutively poor vintages for price alterations to occur to balance supply and demand. The worse consequences are likely to be felt by small producers in the Côte des Bar. 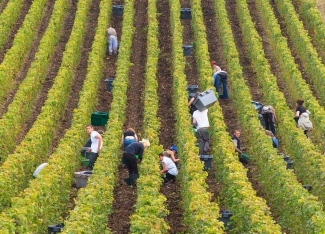 The average winegrower experienced a harvest 75% smaller than aimed for and they will consequently lose the corresponding income. Hopefully they can compensate by harvesting more in coming years. There is an old saying in Champagne that goes: “Août fait le moût” (“August determines the must”). Only time will tell if this is to be the narrative of he 2016 harvest. The Finest Bubble are off to Champagne in a few weeks to conduct vin clair tastings at ten Champagne houses with their winemakers. We will have a better idea of the wines produced from this difficult vintage then and will of course be sharing our findings here.